Think twice the next time you pump up the volume on your iPhone to drown out the chatter of those neighboring commuters. Experts say listening to music at high volumes using earbuds or headphones for more than an hour—and in some cases, as little as a few minutes—could put you at risk for noise-related hearing loss. The World Health Organization in a new campaign advises limiting the use of personal audio devices to less than an hour a day, or for longer periods if kept at a volume of less than 85 decibels, roughly equivalent to the beep of a microwave. The recommendation is based on the WHO’s review of previous studies estimating that people use personal audio devices at an average of 94 decibels, said Shelly Chadha, technical officer of the WHO department for management of noncommunicable diseases, disability, violence and injury prevention. At 100 decibels, listening should be limited to 15 minutes. But by reducing the volume to 80 decibels or less, a person can safely listen to headphones for long as desired, said Dr. Chadha. Apple and most other makers of personal audio devices don’t provide decibel equivalents for the volume controls on their devices. Maximum volume varies depending on products and headphones. 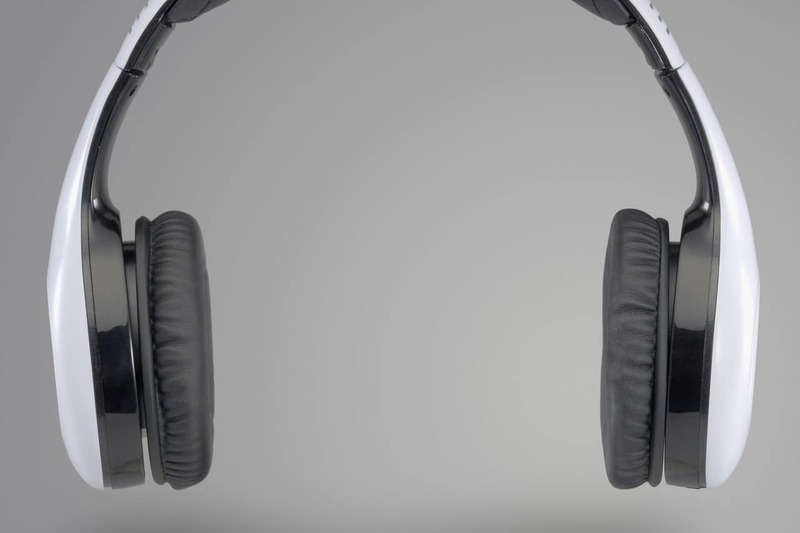 Some experts say the most effective way to reduce the risk of hearing damage is to wear noise-canceling headphones, which block out background noise so that users can listen at lower volumes when in a noisy environment such as an airplane. In a 2011 study published in the Journal of American Academy of Audiology, researchers evaluated output levels of audio devices and determined that a person using the white earbuds that come with Apple products and setting the volume on an iPod at maximum experiences a sound level of 102 decibels. At that level, safe listening is limited to about five minutes, said Cory Portnuff, a clinical audiologist at the University of Colorado Hospital and a co-author of the study. Some experts say the WHO recommendations are a bit too restrictive, and its estimate that 50% of young adults are exposed to potentially unsafe levels of sound from their personal audio devices may be an overstatement. In a 2013 study, this one published in the International Journal of Audiology, Dr. Fligor and Dr. Portnuff found that of 24 adolescents ages 18 to 29, only 16% were listening to personal listening devices at levels that raised their risk of cumulative hearing loss. “Volume level and listening time are inextricably combined,” said Brian Fligor, a Boston audiologist and another co-author of the 2011 and 2013 studies, as well as chief audiology officer at Lantos Technology, Inc., an audiology device company, who has published numerous studies on personal listening devices. “You can listen really loud for short periods of time safely.” “I take my favorite song at the end of my run and I crank it to the max. But it’s only one song,” Dr. Fligor said. He recommends keeping the volume on a device no higher than 80% of maximum, or about 89 decibels, for 90 minutes of safe listening. A 2006 laboratory study of about 100 young adults in a simulated airplane found that when listening to music or movies with regular earbuds or headphones, they listened at levels that were too loud—more than 85 decibels—more than 80% of the time, said Dr. Fligor. But when wearing headphones that blocked out background noise, people listened too loud only 20% of the time. Noise-related hearing loss, while unusual among young adults, can still prematurely age one’s ears, Dr. Portnuff said. “It is normal to lose some hearing as we age, but overexposure to noise and music can make that happen much faster.” Audiologists can detect early signs of hearing loss. Dr. Portnuff said warning signs include ringing in the ears and difficulty following conversations in noisy restaurants and bars. High-frequency sounds typically are lost first, resulting in difficulties in hearing things like whistles or the beep on a watch. Consonant sounds such as s’s and t’s are also harder to hear. There is evidence that noise-related hearing loss is on the rise. A 2010 study published in the Journal of American Medical Association found hearing loss in adolescents ages 12 to 19 in the U.S. grew by about a third over the previous two decades, with a 28% rise in the prevalence of high-frequency hearing loss, said Sharon Curhan, co-author of the study and a physician at Brigham and Women’s Hospital in Boston. The study, which used data from a nationally representative survey, couldn’t attribute the increase specifically to noise or the use of earbuds, but high-frequency hearing loss is often associated with excessive noise exposure, Dr. Curhan said. Genetics, diet and lifestyle also contribute to hearing loss, Dr. Curhan said. Her research has found that staying physically active, eating a healthy diet including fish twice a week and limiting the use of pain relievers such as ibuprofen and acetaminophen may help reduce the risk of hearing loss in men and women. Seth Schwartz, an otologist and director of the Listen for Life Center, a comprehensive hearing-health clinic at Virginia Mason Medical Center in Seattle, said mechanical trauma to the inner ear caused by even a short exposure to an extremely loud noise, such as a jet engine, can result in hearing loss. In such instances, both the sensory cells of hearing and the structural cells that support them can be damaged. Some noise-related hearing loss can be temporary, which is why experts recommend taking 15 to 20 minute breaks when listening on headphones to allow the ear to recover, Dr. Schwartz said. Exposure to lower but still dangerous levels of noise for longer durations can damage the sensory cells of hearing and can be permanent. Source: Reddy, S. Is Your Music Too Loud? Published by Wall Street Journal. Retrieved March 2015, from http://www.wsj.com/articles/is-your-music-too-loud-experts-say-yes-if-its-louder-than-a-microwaves-beep-1425921356.